Studying a financial accounting qualification with the Institute of Certified Bookkeepers (ICB) is one of the best ways to become a financial Accountant. ICB Financial Accounting Qualifications allow you to start working as soon as you achieve your first certificate. Their reputation is a positive and longstanding one with many of the top industry leaders. 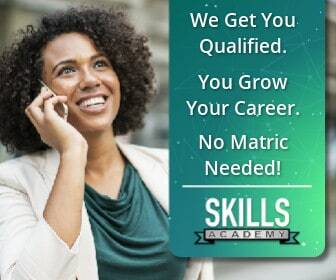 They’ve worked since 1931 to improve the quality of their courses and help South Africans improve their skills in financial accounting and management. The ICB offers 5 different programmes which you can study in order to expand your career opportunities. All of the programmes follow the National Qualifications framework. This article will be discussing the best way to start a career towards becoming a financial accountant. The ICB Financial Accounting programme is divided into 4 different levels. Each levels qualifies you for a higher rank in your career. The ICB have gone as far as to label the position that the course qualifies you for. This means you know exactly what you are able to apply for with your completed ICB qualifications. The ICB’s Financial Accounting programme starts at NQF Level 3 with the National Certificate: Bookkeeping NQF L3 – SAQA ID 58375 (ICB Designation – Junior Bookkeeper). This course will qualify you to start working as a junior bookkeeper as soon as you have completed it. The only entry requirements for the course are that you have completed grade 10, and are able to read and write in english. This is a great start if you are still waiting for your results to apply for your tertiary studies. It also allows you to start studying even if you haven’t completed your matric yet. The Next level of the programme is the FET Certificate: Bookkeeping NQF L4 – SAQA ID 58376 (ICB Designation – Senior Bookkeeper). You’ll need to complete the ICB Junior Bookkeeping Programme to start with this course. With this qualification, you’ll be able to start applying for a job as a Senior Bookkeeper, Junior Accountant or Assistant Accountant. Keep in mind, that some companies will require to have some work experience to qualify for the post they are offering. Once you’ve completed you Senior Bookkeeping course, you’ll be able to begin your National Diploma: Technical Financial Accountant NQF5 – SAQA ID 36213 (ICB Designation – Technical Financial Accountant). This course qualifies you for a career as a Technical Financial Accountant, Accounting Technician or a Tax Technician to name a few. This is the final step before you start studying towards being a fully fledged financial accountant. The final qualification left to obtain for this programme is the National Diploma: Financial Accounting NQF L6 – ID 20366 (ICB Designation – Financial Accountant). This is the final qualification required to reach your position as a certified Financial Accountant. Studying an ICB course is possible through a variety of educational institutions. Many of them offer courses part-time and through distance learning. This means you can study while you are working towards your career goal, which will improve your chances of reaching your goal in a shorter time than studying full-time. Working while you study is not an easy task. It requires a lot of discipline and hard work to complete your studies, while still performing well at the office. It has the distinct advantage of building up the required work experience needed for higher positions while you study. So instead of studying for a full year and then working after, you can do both at the same time. Part-time studies require you to attend classes after working hours. The amount of classes you attend will vary depending on the course and subjects you are trying to complete. The downside of part-time studies is that you will always need to attend classes at a campus. This means your course expenses could start adding up as you’ll be required to travel to and from classes on a regular basis. You also need to consider how much more tiring the extra travelling can be while you’re working full-time. Distance learning is different from part-time studies in the sense that there are no physical classes to attend. This means you can study from anywhere you want as long as you have the required course material. Most distance learning colleges courier all of the study material you will need to complete the course you applied for. You will usually receive study guides to assist you in understanding and completing all of the required work. Tuition providers like TWP Academy also have dedicated academic support teams, as well as a unique opportunity to join online study groups through Together We Pass. Working while you study means you can progress your career as you progress through your studies. This is because you will be obtaining the required knowledge to carry out the responsibilities of higher job positions. Studying while you work also proves to employers that you are serious about your career. Most employers know the discipline it takes to complete a course while you are working full-time and will consider this when choosing candidates for promotion. The ICB accredited Financial Accounting could be the key to reaching your career goals faster than than you might have though possible.